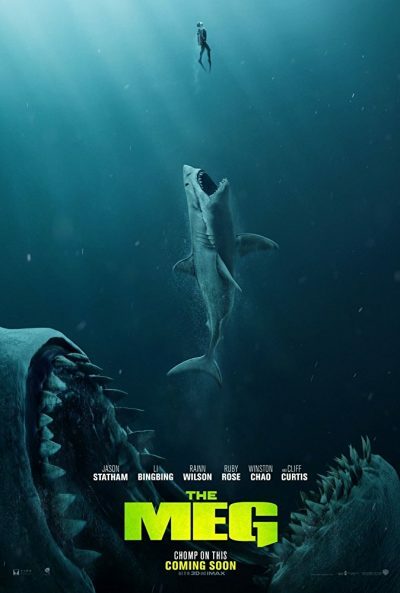 There are moments when it feels like this mega-budget shark flick – the estimated $150 million cost would probably cover the price of every fish flick shark movie SyFy has ever financed – gets it, and delivers the sly, tongue-in-cheek approach the material deserves. 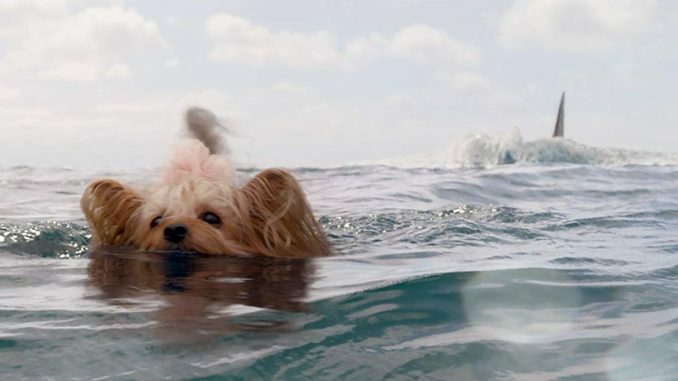 Whether it’s seeing Statham singing “Just keep swimming” from Finding Nemo, or a dog called Pippin (an obvious nod to canine colleague Pippet in Jaws), this works best when acknowledging this is unlikely to be the first killer shark movie the audience has seen. Yet, it also feels like a series of missed opportunities. What is the point, for example, of having a helicopter fly just over the waves, if the shark is not going to leap out of the water, in tribute to a hoax pic so famous, it has its own Wikipedia page? It’s nice to see Statham, who competed for England in diving at the 1990 Commonwealth Games, get to put his aquatic experience to cinematic use, and he delivers the brusque, no-nonsense performance the film needs at its core. Less successful is Li as generic love-interest Suyin Zhang, hampered by the fact her adorable little moppet daughter, Meiying, has better English at age nine than her mother. Maybe they should have made everyone speak Chinese instead. Indeed, the trans-global pudding nature is more hindrance than help, along with the toning-down from the R-rating needed. Watching the Meg fail to turn the waters of Sanya Bay blood-red, left me weeping at the lost opportunities for some Piranha-style carnage. Technically, I’ve no complaints with the monster, whose presence is generated with the finest CPU cycles a nine-figure budget can buy. Turteltaub moves the pieces around better than I’d expect from the man behind possibly the worst big-budget film of the millennium, National Treasure [it may seem early to award that crown, but the next 982 years will be hard-pushed to match it], yet never seems to figure out what kind of film he wants to make. Armageddon? [Renegade brought back to save the day] The Core? [Rose is a low-rent version of Hilary Swank, with more tattoos] Jaws 3-D? [Chris asked her “Was this made in 3D?” question thirty seconds in] It all ends up entertaining enough, yet will be long forgotten when we’re still discussing which Sharknado movie was the best.